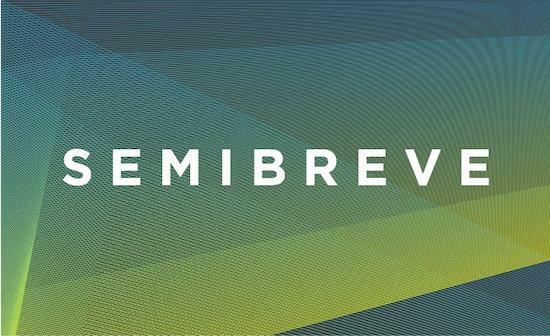 Portugal's excellent Semibreve Festival, taking place from November 15-17 at Theatro Circo in Braga, have confirmed the next round of names for this year's line-up. Joining the previously-announced The Haxan Cloak, Forest Swords, Atom TM and Rafael Toral’s Space Collective 3 are Raime, the Blackest Ever Black duo who'll be playing a set of their shadowy, hyper-minimalist electronics, drawing on last year's debut album Quarter Turns Over A Living Line and three EPs to date. Reporting from their show at LSO St. Luke's earlier this year, tQ's Maya Kalev wrote: "By virtue of sonic absence, Raime's minimalist music endows its few essentials with both complex detail and brutal potency, obviously laboured and perfected with insomniac rigour. Perhaps that explains why tracks like 'The Dimming Of Road And Lights' feel intuitive, as if Raime communicate in the universal language of birth and death. The incessant, morbid pound of the kickdrum is like a jackboot lodged in your chestplate." Also on the bill will be pioneering turntable experimentalist Philip Jeck, equally forward-thinking field recording-mangler Helm and Sculpture, bringing their genre-melding A/V show to Portugal, as well as an installation, 'Love Song', by the composer Janek Schaefer.